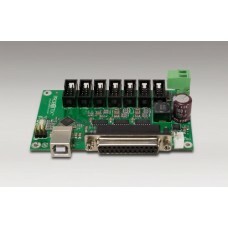 The PBX-MX can be used as an isolated parallel port breakout board for use with software such as LinuxCNC or Mach3. Includes an on-board Arduino compatible microcontroller that can be used for monitoring and diagnostics. Features an on-board switching pow..